Shabbat morning services are conducted at Temple Tifereth Israel every week, starting at 9:30 am, and, weekly Sunday morning services are held at 8:30 am. Following Shabbat morning services, a kiddush is provided, and Sunday morning services are followed by a no-cost breakfast. Additional services are held on Jewish holidays. Come join us for one or more of these weekend services. It is refreshing and invigorating to put aside the cares of the week for an hour or two. 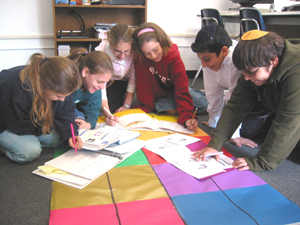 Get together with old or new friends and renew your contact with Judaism. Saturday morning services are typically completed by 11:30 and Sunday morning services are usually over by 9:00 AM. 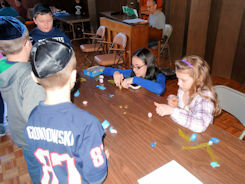 Hebrew School classes at Temple tifereth Israel are held every Sunday morning, starting at 10:00 am, and extend for 2 hours. Classes are conducted by experienced teachers and teaching aides. Special programs for the students are provided throughout the school year. 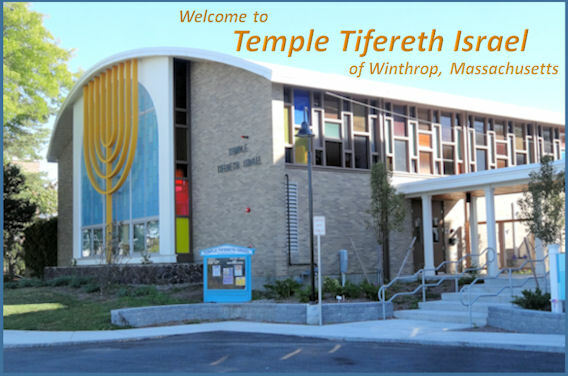 Temple Tifereth Israel provides Jewish education for children between the ages of 6 to 13 as well as preparation for Bar and Bat Mitzvahs. Teaching is adjusted to meet the needs and capabilities of the students. Remember, your child is part of the future of Judaism. We owe it to our children to provide them with the the teachings of Jewish knowledge, tradition, history and ethical awareness. Our hebrew School does this with a creative and challenging curriculum, individual attention, along with parent/guardian participation. We also hold a Pre-school class for youngsters between the ages of 4 and 6. 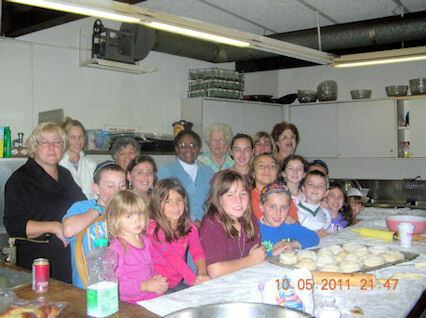 The class includes music, dancing, shabbat and holiday traditions, and much more. It has proven to be very popular with the children. Parents interested in having their children attend the Hebrew School can contact the Temple at "617-846-1390" or email us at "ttiwinthrop@gmail.com" for additional information. On Saturday mornings, "mi sheberach prayers" are said for friends and relatives that are sick. If you would like to have a "mi sheberach" said, please contact the Temple the week prior to when you want the prayer recited. If you know the Hebrew name of the person for whom the prayer is to be said, please provide that information, along with the name of the mother. If Hebrew names are not known, English names will suffice. If you would like to sponsor a Kiddush or Breakfast in honor of a special occasion, in memory of someone, or just for the Mitzvah, please call the Temple office at 617-846-1390. In addition to a growing attendance at our Saturday and Sunday morning services, we are happy to report that we continue to have sponsors for all our Shabbat Kiddushim and Sunday morning breakfasts.The cost for sponsoring a Shabbat morning Kiddush is $100 and the cost of sponsoring a Sunday morning breakfast is $50. If you never had a bar or bat mitzvah and would like to enjoy the experience now, please let us know. 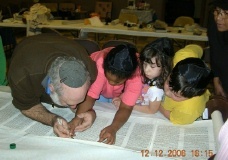 We will be happy to help you prepare to read the Torah and/or the Haftarah and celebrate your bar or bat mitzvah. You will aquire the skills to step up to the Torah as though you were just turning 13! To sign up, contact the Temple at 617-846-1390.